Roller’s Choice Cigars are premium cigars manufactured at the Fonseca cigar factory in the Dominican Republic. Roller’s Choice are hand crafted individually buy expert cigar rollers who infuse complex blends of predominantly Dominican long fillers and Mexican Sumatra binders, then carefully wrap each of these gems inside a perfectly aged Connecticut shade tobacco leaf. The draw from a Roller’s Choice hand-rolled premium cigar is mild to medium in strength offering a sweet and creamy balanced smoke that is remarkably rich and satin smooth. 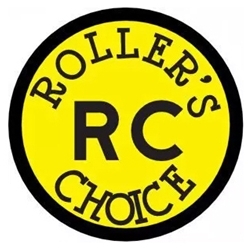 Roller’s Choice is a premium cigar line offered at an everyday smoker's price. Smokers Discounts can bring these high-quality cigars right to your front doorstep. We’ve made it easy and affordable to buy handmade cigars online. A variety of sizes and flavors are listed below. Each of these styles are in stock and available for a low discount price! Call us for more details!